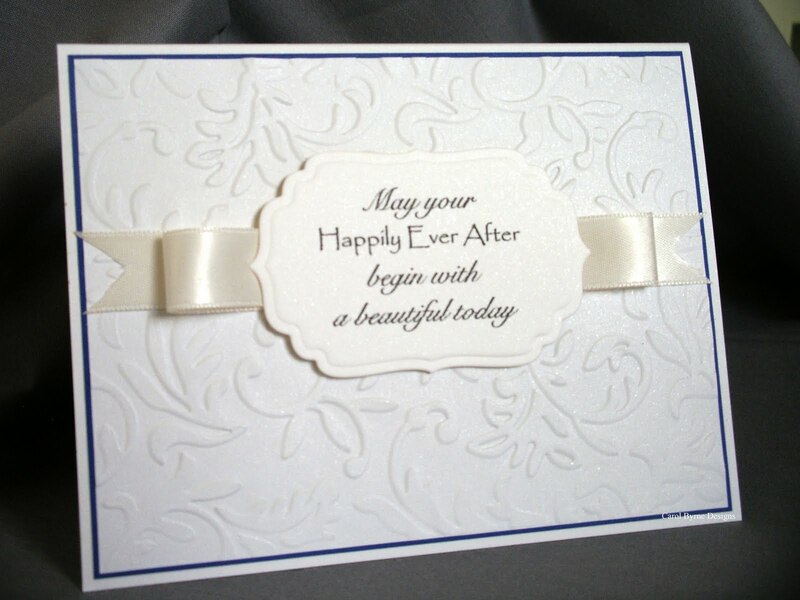 How about a wedding card? I have always adored this sentiment in a Stampin' Up! stamp set, but, it is the only stamp I like and can use in the entire set. And, it is a pretty pricey set, so liking only one stamp makes that a pretty expensive stamp! Anyway, I decided to type up the sentiment in Word and cut it out using label 4 nestie from Spellbinders and popped it up over some white satin ribbon from Mike's. Used the new Victorian Cuttlebug embossing folder for the background, matted with SU! brilliant blue (Wildcat Blue, for all you UK fans!). The white cardstock is the shimmery cryogen white from the Arjo Wiggins Curious line of papers. Love that stuff. Just wish the shimmer showed up in the photo. Wow! Very elegant card. I love your ribbon treatment. Looking forward to embossing with my nesties. Beautiful! I can just imagine what this looks like irl with all the shimmer! Great use of ribbon. I must remember to do this . . .
Hugs, girlfriend, miss you already! Your use of the Cuttlebug embossing folders is just always wonderful. So elegant. What a beautiful creative design. Hope all is well. Miss you. Love the brilliant blue peeking border!